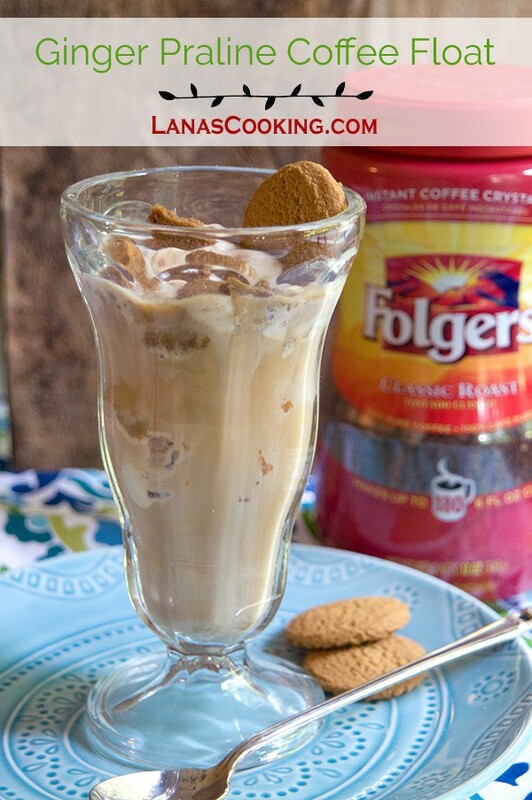 Ginger Praline Coffee Float – An ice cream float with pralines, coffee, and the zing of ginger. Definitely dessert worthy! I have something so special and delicious for you today! 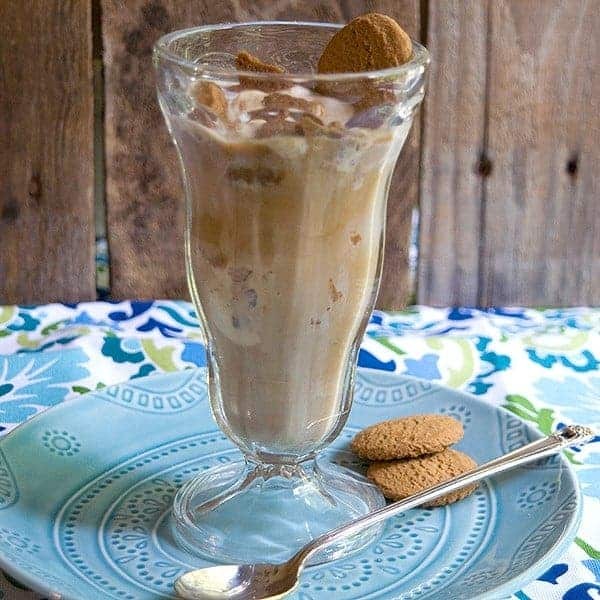 This Ginger Praline Coffee Float, with its layers of praline ice cream, ginger snaps, and coffee, is a cold adult coffee treat of the very best kind. It has the smoothness of coffee along with caramelly sweet pralines, and the zing of ginger. 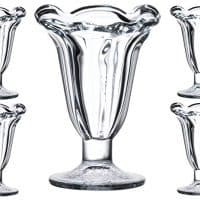 This is a treat that’s as great for sipping poolside as it is for serving after your next dinner party. This smooth, cool treat was inspired by the classic Italian affogato which is a scoop of vanilla gelato or ice cream topped with a shot of hot espresso. Some variations also include a shot of amaretto or other liqueur. The day when I was trying to think of something special to make using my favorite instant coffee, it was about 98 degrees. Ice cream was the only thing I wanted. Then suddenly affogato popped in my head and I started to think of a way to spin that recipe into something unique. 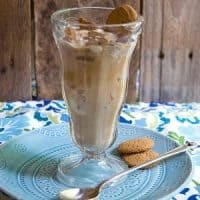 One of my favorite ice creams is a praline and cream flavor and ginger snaps are always a staple in my pantry, and that’s how this coffee float came to be. 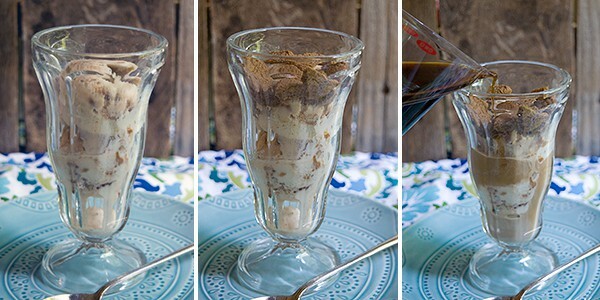 It’s as perfect for summer as my Mocha Eggnog Sundae is for the holiday season. 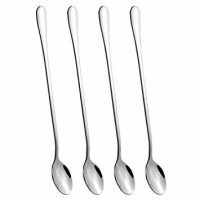 I like to serve this in a tall soda glass with a long dessert or iced tea spoon. It’s also lovely in a shallow dessert dish. This such an easy recipe! all you need are three ingredients. One cup of strong, lukewarm coffee. So easy to make with instant. No waiting for the coffee to brew! A few gingersnaps. The generic store brand kind is fine. And some pralines and cream ice cream. 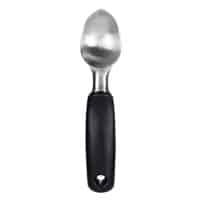 Several different ice cream brands have pralines and cream. Just get whichever you like or the one that fits your budget. Then all you do is place the ice cream in a tall glass. Crumble a few ginger snaps on top of the ice cream. Pour the coffee over the ice cream and ginger snaps. Serve with a spoon or straw. Or both. Pin to Your Pinterest Dessert Board! An ice cream float with pralines, coffee, and the zing of ginger. Definitely dessert worthy! Place the ice cream in a tall glass. Crumble the ginger snaps on top of the ice cream. 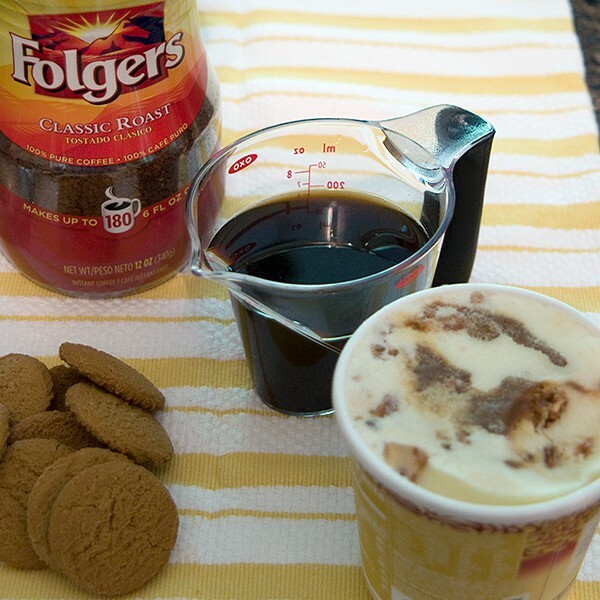 Pour the coffee over ice cream and ginger snaps. Serve with a spoon or straw. Oh my goodness, that looks so delicious. Going to have to make one soon. 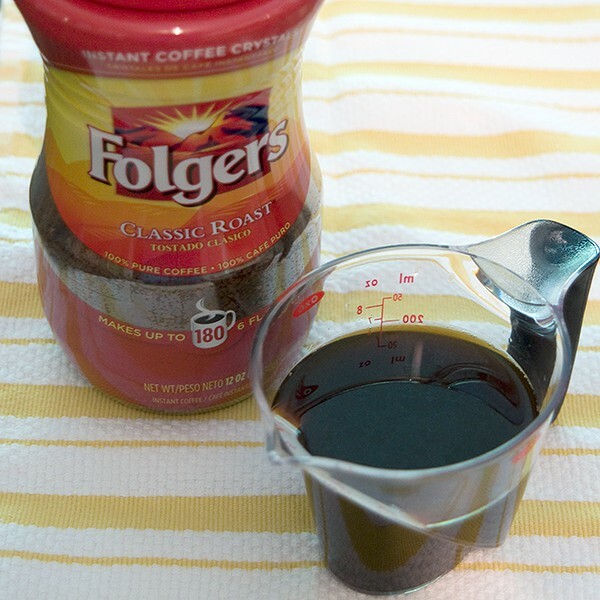 (Bookmarked) Thanks so much for posting my German Iced Coffee extra recipe list! You’re quite welcome! I do hope you enjoy the coffee float…it’s truly delicious. Coffee ice cream desserts are totally my thing. This looks wonderful! Coffee and ice cream just seem to be made for each other, don’t they, Brenda? The pralines in this one don’t hurt anything, either! I rarely drink coffee anymore, but coffee desserts are my favorite!!! This float looks amazing!!! Thanks Liz! I enjoy them, too. The coffee just seems to bring out the best in sweets. Oh my word. What a delicious looking treat. I would save this for dessert. 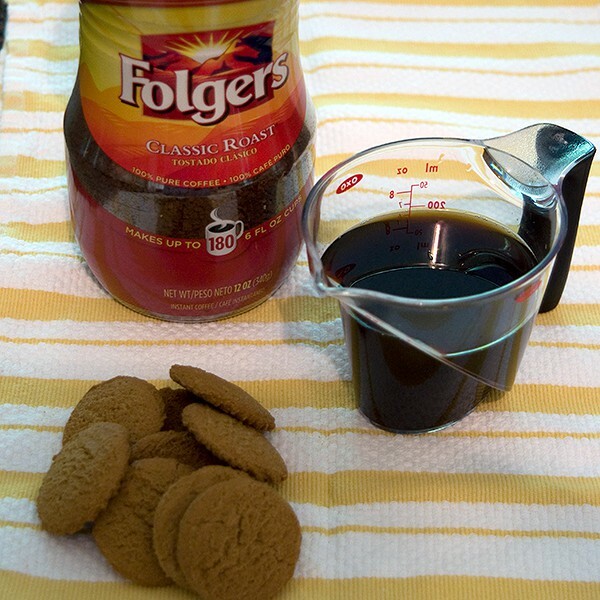 The Folgers instant coffee is such a great idea!